You’ve seen the lifestyle portrayed in endless Instagram feeds and the best blogs! Freedom. Location Independence. Travel Perks. Six Figure Incomes. How do I get myself some of that? I’m sure you’re dreaming of building a successful blog, but just how on earth do you do it? Well, allow us to help you. We’ve built our travel blog from the ground up into one of the biggest travel blogs in the world with 550,000+ unique visitors per month, and have partnered with brands such as Canon, Ford, Amex, Allianz Travel and many tourism destinations around the world. But you’ll see from the following tips that a successful blog isn’t always about how many, or what type of blog posts you write; your social media following, or how often you update your blog. Sadly, most people spend their time focusing on how to nail these things while completely ignoring what makes up 90% of your success. Success is all about how you think and what actions you take as a result. The reason someone will often fail is because of the inability to control their fears and insecurities, and a complete lack of vision, passion, and clarity. I think far too many people are searching for the how to’s, rather than finding the Holy Grail in the how thinks. I shared some of my tips for success in an interview with another site last week. 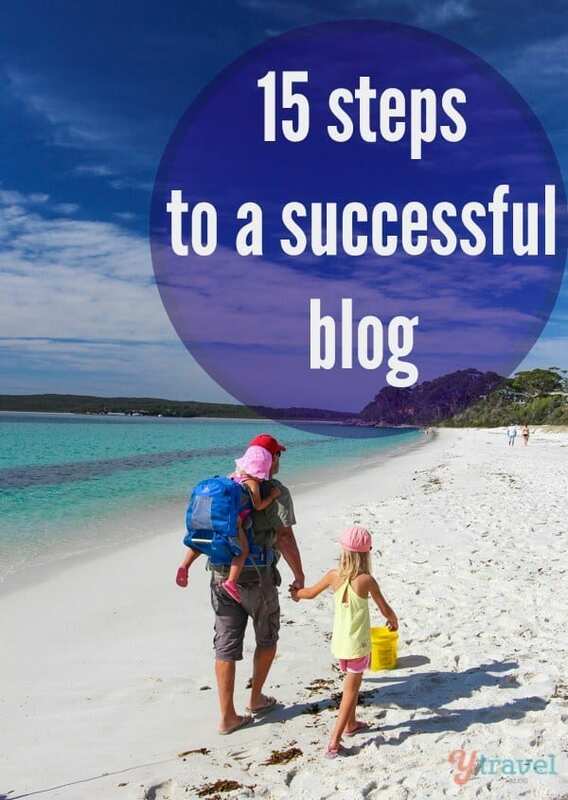 I thought I’d elaborate on them in a post to help you learn what I feel are some of the most important steps to a successful blog. 3. What are your skills, passions, and talents? What are you creating this business for? What lifestyle do you want it to give you? Why do you want to do this business? Clarity will help you make the best decisions that fit with the direction you want to move in. We recently made a decision to take up an opportunity that wasn’t too attractive in the short term, but because we know our vision we can see how this is a door presented by the Universe to help us get there. Your vision gives you the direction and the action steps, but allows for greater flexibility and the freedom to allow the path to be shown to you. It’s also harder to quit when you have a very strong purpose and vision. Who are you talking to? What are their hopes and dreams, their wants and needs? Make it a priority to serve your audience and help change their lives. Understand their pain points and create products and services to help solve their problems. I’ve learned some really cool ways to get clear on this, which helps me give my readers what they need through my content. You’ve got to be working on a business you absolutely love, but also one you have a certain skill level for. There’s no reason why you can’t learn new skills along the way (and you will), but there must be some level of value that only you can provide through your skills and talents. A perfect alignment is when your passion and your skills meet – that’s usually your sweet-spot purpose. Share your story (the ups and downs), help your readers relate to you, and show that you care about them. If you don’t have a community of loyal followers your business won’t be profitable. Create a culture around what you do. 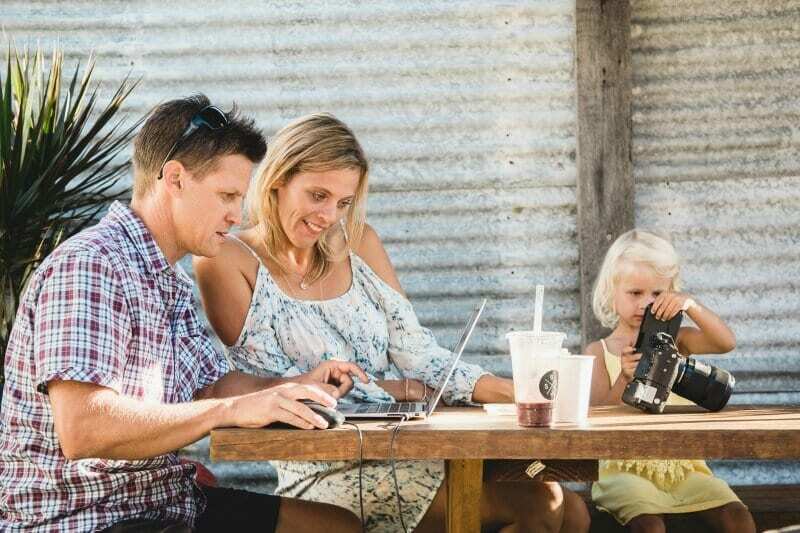 We started our family travel blog with the vision of creating a virtual hostel couch. We knew that was where travel conversations always happened: where strangers become friends over sharing stories and giving advice about travel. We LOVED that and wanted our community to have the same vibe. What vibe are you creating in your community? Think outside the box and create products or services that solve people’s problems. And give extraordinary value when you do this. From listening to our community, I know their biggest struggle is having enough money to travel. Because of that, I created my 30 Days to Money Mindfulness to help change their relationship with money forever. We also created our ebook which shares tons of strategies on how to travel without costing a fortune. Create content that informs, inspires and entertains. Put your heart and soul into your creation and always have the intention to make a difference. If you help change someone’s life they are a friend forever. I cannot tell you how annoyed I get when people tell me how lucky I am. If you put in the work and get your mindset right you can build a profitable business. But you’ve got to be willing to pay the price and make sacrifices. I tell them what they need to do. They reply that they have changed their mind, they don’t think they want to do it anymore. I’ve simply done what other people won’t do. I’ve turned up to events at 7am, pregnant and tired, while others stay in bed. We’ve worked for “Free” with certain brands when others complain loudly they won’t. (There are definitely dos and don’ts with this and you get to a point where you should stop working for free) but we’ve been very strategic, it’s helped prove our value and we now have partnerships with Ford and Canon because of that initial groundwork. And we’ve dedicated four years of our life so far to focus on building this travel blog. To coin a Tony Robbins phrase (C.A.N.I) , always be learning new things from the masters. I spend at least an hour every day working on improving my mindset, spirituality, and business skills. I’ve invested heavily in myself and the tools I need for my business. I started blogging not knowing a single thing, but I chose to learn from those who had what I wanted. If you don’t invest in your business, you’ve actually got a hobby and you will be paid as such. I take one or two courses every year to help improve my skills, improve my mindset and enhance my growth. Of course, your capital will be lower when you first start, but work out what you can afford each year and invest it into the best courses and tools you can find. There is a lot of free information available online, but free involves a lot of time filtering through the noise and free will not always bring you the best results. Do the best you can with what you’ve got from where you are. If you do invest in a course you MUST do the work to get the results and make it a worthwhile investment. You can find a list of courses and books we recommend here. It’s not bad to focus on the money side of your business. Without it, you don’t have a business and you don’t have the ability to inspire and make someone’s life better. So making money from your blog IS priority. I see too many people struggling with their business and losing simply because they have a poor money mindset. Would a friend continue to knock on your door and visit if you clearly didn’t like them? Improve your relationship with money and then create a business plan around how you will create money. All your efforts need to be focused on that. If it can’t help you make money then let it go. This does not mean you sacrifice the value you give to your community. Being successful in business means finding this balance between the value and the money. They always go together anyhow. I love this latest video by Marie Forleo which talks about how to overcome the guilt some people often feel with making money through a business they love. 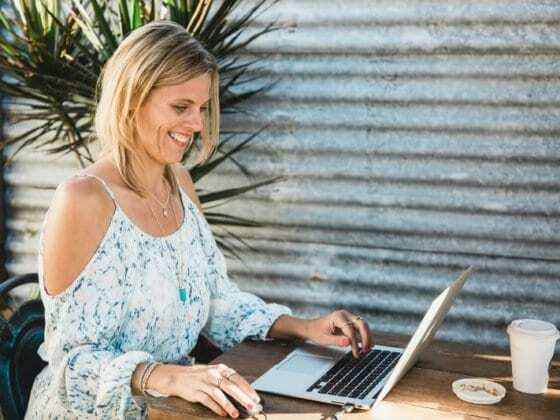 You can join my Money Mindfulness community to help improve your money relationship and your manifesting powers. The email list should be the number one priority if you want to build a blog. Start to develop a more personal relationship with your community. Give them something different via email only. Inspire them to move through their fears, jump over their hurdles, and run towards their dream life. We used to send out a weekly newsletter and it was just an update of our blog content. It was dry and boring and didn’t really make subscribers trusting us with their email worthwhile. I changed it to be more personal and to help subscribers see how important their dreams are and worth chasing. It’s now the favorite part of my travel blogging business. The feedback I get gives me goosebumps. Every week I’m receiving replies telling me how my message that day came to them at the right time and helped them move through a difficult moment and even inspired them to change the course of their life to one that’s more fulfilling. Blogging is so powerful when you use it as a means to make a difference. Be there for your readers. Change their lives. The email list is so important. Of course, it is also to help you when marketing your products or services, but I love the communication part of it the most. Don’t be frightened to reach out to someone you admire or want to work with. Meet up for coffee or chat over Skype. Talking to someone in person makes you real; you’re less likely to be forgotten and more likely to have opportunities arise. Don’t hide behind the computer. I know how easy it is to. Networking with people in real life is just as important as it was pre-www.com. If not more so because it puts you in a different league to 99% of people out there. You actually have a voice, a name and a few wrinkles. The majority of opportunities (like really cool ones) that have come our way have because of our ability to let down the guard and just chat person to person. The other side of this coin is to mastermind with those on the same journey as you. Share your brain power. I have so many smart entrepreneur friends who I love to bounce ideas off. We learn so much from each other and so many sparks have occurred just from chewing the fat over coffee. Sometimes even wine. Actually, the best ideas come with a bottle of shiraz. And with a crack of the whip, in comes riding liberation. Outsourcing is probably not something you do from the beginning of your business, but definitely work it into your long-term vision. You’re starting a blog to have greater control over your lifestyle. Unfortunately for the first few years of your business, you’ll be working harder than you ever did in a job – and without pay! As soon as your blog reaches the point where you can outsource, then do it. Focus on the work that will grow your business and is related to your special talents. Hand the rest over to other people. Let them give you the space to grow (and enjoy life away from the blog!). I was so scared to start outsourcing,but now I love it and are keen to do more. Our team is slowly growing and our business has only grown with it. There is so much energy you expend when you worry about what others are doing. Think about it, all those hours stalking, and then churning through the thoughts about how they’re better than you, or you’re better than them. It’s exhausting moving through those feelings of jealousy, insecurity, frustration, anger and failure. How does it help you achieve? There’s only one thing you can offer to the world that no one else can. So do your thing and let other people do theirs. I tell ya, this is one we often have a lot of trouble controlling, but I notice the difference in how we grow when we stop looking sideways. Focus on YOUR game plan, refine YOUR skills and take the action YOU need to take. You deserve to have success too, but you’ve got to move in a straight line towards it, not in a zig zag one spent peeking over your neighbour’s fence. There is too much noise and too many experts telling you what to do. If you spend all your time looking out there for the answers you won’t get much done and your business will completely lack soul. I have a few mentors for different aspects of my business whose advice I follow but never take as gospel. I mull it over and consider it based upon my vision, my overall strategy, my readers and what my inner voice tells me is right. I think I’ve broken almost every rule that’s been said about blogging, but I stuck to what my inner voice was telling me and it’s rarely been wrong. That decision I told you about in Step one – I know many people would say don’t do it, but my inner voice spoke to me real clearly. Only you know where you’re headed and what you’re capable of. What’s your data telling you? By this, I don’t just mean the numbers. You’ve got to be listening to your readers to find common patterns of thoughts, questions, and needs. We never used to pay much attention to the data, but once we did, our content strategy became easier and more on par with what our readers wanted. Don’t just look at your statistics for a bit of ego stroking, but to see who is coming to your site, how are they’re getting there, and what are they doing once they arrive. Form your strategy around that. What content are you writing for those who are visiting via Google? What type of posts are bringing them in? How can you stick them to your site once they arrive? What’s working via social media? What content are your loyal readers thirsty for? What do they usually comment on and share? 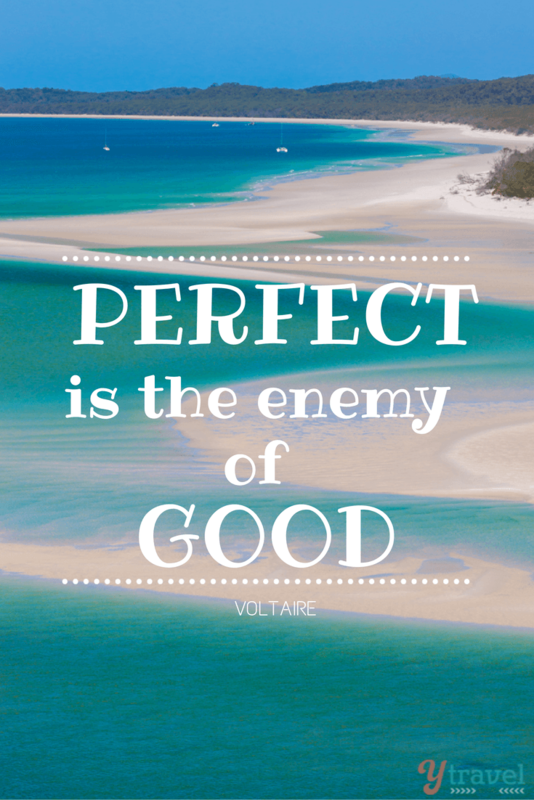 Striving for perfection is not something I’ve ever been good at. I’m not a detail-oriented person so generally, if it looks and feels good as a whole, I’ll put it out there. This has its good and bad points, but let’s focus on why you need to start before you’re ready. Because otherwise, you’ll never do anything. What’s the point of having the most perfect anything if it never gets shipped? Imperfect allows more room for learning through the failures. Imperfect is self-gratifying because at least you know you’re in the game and getting dirty. She smiled and raced straight back into the waves. Think of Edison – a massive failure rate that ended up changing the world big time. We’ve dived into so many opportunities and knocked on hundreds of doors since we started blogging. We were so far from perfect, and still are. But we’re learning and growing because of the hustling. We got very used to rejection. Rejection is such a big part of what you do and you must get comfortable with it. Detach yourself from it – it’s not you, it’s just not the right time. Take that rejection and learn how you can improve. I know with every rejection and every failure, I’m getting closer to success. That’s something to celebrate. Being okay with failure means you let go of expectations and results. With that letting go comes the openness to move with the flow and allow the right things to come along. If you are okay with failure, you’re more likely to step out of the box and try new things. This is the mark of a successful person or blog. Jump and grow wings on the way down. It’s way more fun. What’s one new success step you are going to implement today? What do you need more help with? Great list of tips. You always miss 100% of the shots you don’t take! This is such an amazing list of tips! Seriously, did you write this just for me?!?!?! Thankyou so extremely very much! I have definitely started before I’m ready with my blog & have let fear lose me in a scattered vision. But it’s a beautiful day for some soul searching, don’t you think? Always the perfect day for soul searching Tanya! Caz, “I feel like you’re in my head”, I have to say this is true of my experience with you and your blog. Every note, newsletter, post reaches me deeply. I found Marie Forleo (b-school) and numerous other resources because of you and Craig. I’m so grateful. Another great post with 15 actionable tips to learn from. I will work to hone my skills in telling our story (the good and the bad) and make sure I know my purpose. I need more help with building my e-mail list. Thank you Brenda! I appreciate you so much and am inspired by how you are reaching out for your dreams and claiming them. As usual, I connected with so much of what you wrote here. Trusting your gut instincts, creating something of value (every time I meet someone who bought one of my travel guides, I feel warm and fuzzy inside), developing a positive relationship with money, focusing on your plans and not getting caught up in the negative emotions of envy and jealousy. There are still so many of these 15 steps that deserve my time and attention. Thanks for the motivating reminders! Love the warm fuzzies Dave! It’s so nice to wake up of a morning knowing you are making a difference. Far better than the grumps I used to wake up with! I love this.. I have to clean my email out.. all the people saying do this and make money and get clients.. so much out there and it really eat the time and your brain up. Focus on my business and finding out what i need to do or what is missing and just getting myself out there.. Being uncomfortable and learning.. so my coach has some good ideas till I get my website up.. I love your website. its simple and clear. exactly what I want mine to be.. I might use a template upfront but the copy that is what is interesting. I am going to do a video for my opt in.. which is great.. well I love this journey and thank you for being a part of it.. traveling , food allergies, gluten intolerance, health , vibrance.. that is me and my business…:).. the more I do outside of the comfort zone.. the easier it gets.. I am actually having some fun now even with the business stuff.. ..
Having fun is key Connie. I know how passionate you are about helping people with food allergies and it is such a great and much needed service you are offering. Keep moving forward, you are doing such a great job! Simply brilliant post. Congratulations on your hard earned and well deserved success. Thank you Nic. You know you inspire us in so many ways. For sure Ross. We spent years doing this. I think it’s nice to be able to sometimes write what you want, after all it is your space, but I’m getting so much better and evaluating each piece as to whether it is really helping or not. There’s a lot more ending up on the cutting room floor!! It takes a while to understand what works for you and your audience, but keep listening and analysing and you’ll working it out. I was actually compiling my own list of blogging lessons today and was happy to see your post on this topic. So many truths here. I especially connected with the comparison advice…I suffered from that for too long at the beginning. Truly inspiring post! I’m a strong believe of constant improvement. It always feels good when you know that something is better today than what it used to be before, whether it is you as a person, something you do, or anything else in life. I think we get stuck the moment we think something is perfect. But truth is, nothing is truly perfect. There’s always room for improvement. Yes! I love growing and moving forward. I feel like I never know what I’m doing but just by moving forward things work out for me and learn on the way. Building a list is critical because it is one of the only ways to truly have control over your audience. Social media is great but you are at the mercy of another medium at all times. If they want to cut your reach (like FB has been doing), there is nothing you can do to stop it. Also, when you start to think of yourself as a brand something inherently changes within your mindset. Absolutely Michael. We’ve all seen how much Facebook is cutting back our reach. I feel much safer putting my focus on my blog and email list. So glad you are okay after your bike accident. That looked nasty! Lol yes! Always focused on my list. So glad the post could help you Sarah! Thank you so much Liz. I can’t tell you how much this comment made my day. All the courses and learning I have done in regards to writing has said the key is to make the reader want to read on from every sentence. I’ve never known really how to do that and thought I never could. So I am so chuffed by your comment as I feel the time and practice is perhaps paying off. Thank you so much. Loved reading this! Thanks a heap for posting! Great tips! I wrote a similar post but from a more technical standpoint of taking your blog to the next level (via increasing traffic, etc). Thanks for sharing!! Caz, Thank you for the great post and tips! Keep inspiring us! Thanks Caz. I’ve been writing a blog hap-hazardly for a few years now, trying to figure out what people wanted. After stumbling across your blog and reading your tips, I think I can head off in a better direction now. I appreciate your words of wisdom. This was just what I needed to read. Thank you so much for putting out your soul and amazing tips for us! Lots of solid advice here, Caz! I especially love the last tip about learning to get comfortable with rejection and to detatch ourselves from it. I believe that goes for disappointment as well. It is simply inevitable. And to have ambitions and dreams for your blog and not getting the results you hoped for when you just start out is part of the package. We just have to keep believing in ourselves – that’s the driving force behind it all. I’ve been blogging for 2 1/2 years and still haven’t put together a proper email list (apart from the blogger plugin that simply emails my posts). I really need to set up a mail chimp newsletter but I keep putting it in the too hard basket. I’m going to try and make that a priority before the end of the year. Have enrolled in the course and can’t wait to get started!!! Great list – I think knowing your audience is for me the one you have to nail. You must know who you’re talking to and how to connect with them. If you speak a different language (or tune into a different frequency) you won’t reach them. Thanks for sharing! PS. Great new website – looks fantastic! Their coupon says it expired, but should be good until tomorrow, right? These are great tips. As I’m working toward the official launch of my travel blog and services, these tips will definitely come into play! So glad we could help you remember such amazing times Seana. It’s so incredible over here. I’m realising that this blog is equally about helping people remember great times as it is helping them to create future ones. I certainly agree with you! No pain no gain. Most people want to live that chocolate and champagne lifestyle yet they are not prepared to go through stress in order to come out stress free. See, i have been blogging for almost four years running but yet to hit the four figure income. Nevertheless, i am not worried because i know God and my vision to succeed will get me there. But you forgot to include one critical thing and that’s patience. After, you have done all that you need to wait for the right time to see your dreams come to pass before your very eyes. That’s just an indispensable part of the whole show. Yes – patience is key! Thanks for the reminder! Great advices:) I will listen to my inner voice then! Thanks for this article! It was extremely helpful as I recently started a blog and it is a scary thing, but I’m really excited about it:) this post was inspiring! Your welcome Sarah. All the best. So happy to help. It is a scary thing, but that will start to disappear the more you do it and the more confident you get. This is not just any list. This is THE list. This is truly, perfectly imperfect and damn good. I really like the idea of looking at what your readers are telling you- I have had more people write to me about blog posts that have NOTHING to do with travel (I write a “travel” blog) and I struggle with that. I was almost confused at first, and then had a little bit of website-identity-crisis, but now I see it is a big fat arrow in a different direction. Inspirational advice! Thanks for helping me stick with it! Right now I work full time, and sometimes find it hard to put as much time as I want into my blog. Any advice on where to focus the most and how to balance social networking, post writing, and other blogging “to do’s”? Thanks! Inspiring and useful – thank you so much! Amazing tips, Thank you very much. They will help me a lot ! Really awesome post. I am drawn into posts after posts here on this blog. My problem is point number 5 and 15. “Create content that informs, inspires and entertains. Put your heart and soul into your creation and always have the intention to make a difference. If you help change someone’s life they are a friend forever.” and “Start before you’re ready, embrace rejection, and fail”. Being a perfectionist, I really wanna create valuable content yet it is also the reason preventing me from publishing posts. In a sense, I have already started. I do write down my travels, type them out, but always think it’s not ready to be published. How do you deal with this internal conflict? If you can build your blogging business around the following, you will definitely achieve great success. Thinking of Edison makes me think of scamming hard workers around you, stealing their work, and claiming it as your own. Should’ve mentioned somebody like Ada Lovelace instead.